There has been heightened tension on the council estates of Paris since the 2nd of February, when a 22-year-old youth worker named Theo was allegedly beaten up and raped with a truncheon by police. French President François Hollande has appealed for calm and visited the victim in hospital, where he has undergone emergency surgery. Theo also made a plea from his hospital bed for calm as the attacks continued to spread. 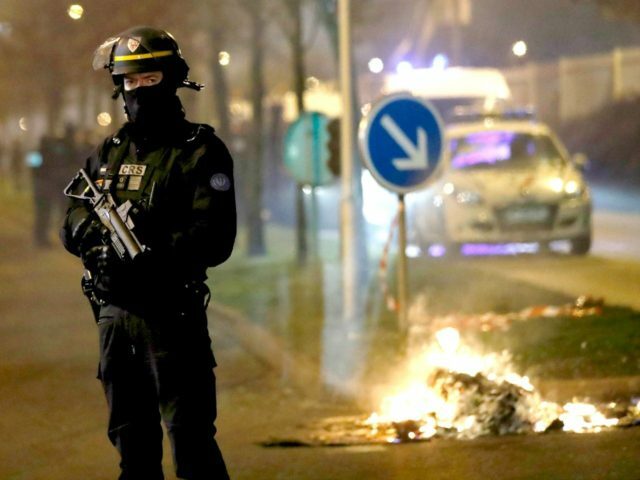 Last week, on the 7th and 8th, riots occurred across numerous north-eastern Paris suburbs associated with social deprivation and high immigrant populations, including Tremblay-en-France, Montfermeil, Clichy-sous-Bois, and Villepinte in the department of Seine-Saint-Denis, and Blanc-Mesnil in Seine-Maritime. French presidential candidate and Front National leader Marine Le Pen slammed the French government for its “paralysis” on the matter Wednesday. “The forces of order are targeted by bands of scoundrels,” Ms. Le Pen said calling the situation “a shame for France” on the international stage. “The government is silent. A silence that reflects both its cowardice and its impotence”, she added.